Craving Chatpata Street Food At Midnight? This Place Is Open 24 Hours! Craving the unique street food flavours right in the middle of the night? 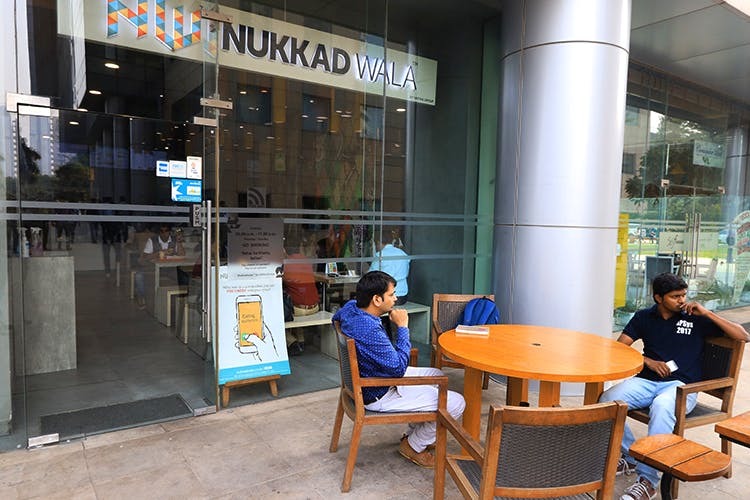 Samosa, bread pakora or papdi chaat are no more just a day food with Nukkadwala at Vatika Business Tower now open round-the- clock for 24 hours to deliver hot and yummy food during late night hours. Whether office tea-breaks or the midnight hunger pang, now all the street specialties will be right on your table without the clock being a decider. Order your favorite street food from Nukkadwala anytime and get it delivered right at your doorstep with the same punch of flavors from the street. Every street in India has a unique taste of food to offer and bringing them under one roof is what Nukkadwala has done for G-Town! From Mumbai’s vada pav, Gujarat’s thepla to all of India’s favorite samosa, a mouth-watering snacking is their USP to sell and they do it well. Whether you’re hosting a tea party or you’re on deadly night shifts, keep your taste buds kicking with this medley of authentic street flavors Nukkadwala.